The outstanding Acanthus block printed wallpaper is one of Morris most instantly recognisable designs and marks the beginning of a period in which Morris created large-scale designs for wallpaper. These often featured layered patterns and rich colours with vigorous curves and scrolling foliage to give a three-dimensional quality. 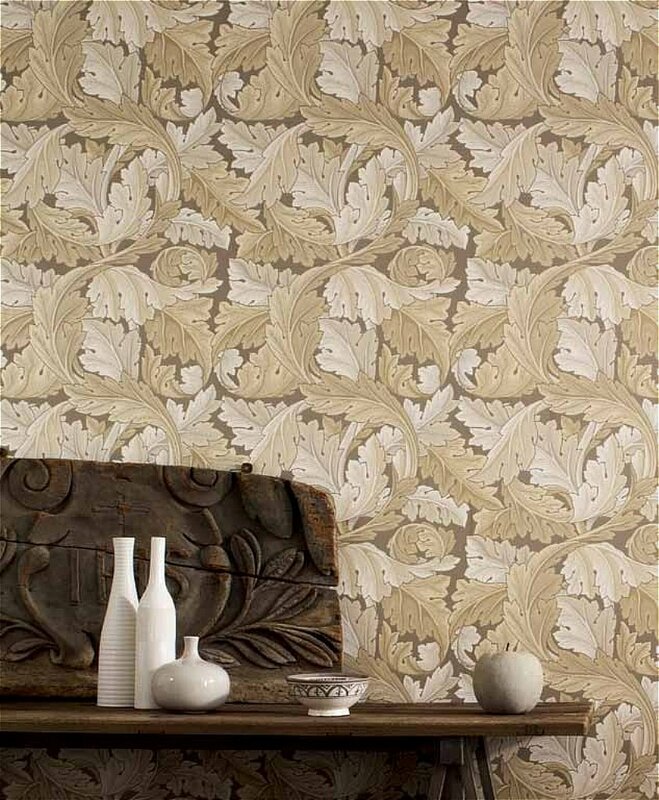 I would like more information about Acanthus Wallpaper by William Morris.